Usually, after Christmas day you’re left with a lot of nice things, a full belly and great vibes. However, that’s not all your left with. You also find yourself sifting through unwanted gifts, piles of discarded wrapping paper, cards, too much food to handle, not enough places to store everything and a bit of dilemma in general. These repurposing tips will help the environment and your sanity! The best way to address unwanted gifts is to have a “swap party.” A swap party is a cosy get-together where friends and/or family join you to exchange gifts that have been given by co-workers, aunts, uncles or someone who didn’t quite guess your style right. It could be gifts you really won’t use, gifts that don’t fit you, gifts you just don’t like or the simple fact that you already have too much sh*t in your house. These parties can be really fun, and someone might spot something they absolutely love, or even an item someone they know might die for. The gift giving continues! If a swap party doesn’t sound appropriate for you, then you can always donate. Charity shops, orphanages, dog rescue centres. Take your pick! You’ll be doing some good and down-sizing. Be it weddings, birthday bashes, baby showers, or one of the many more celebrations that traditionally require you to bring a gift. Chances are, you’re going to be invited to a few in the coming months. 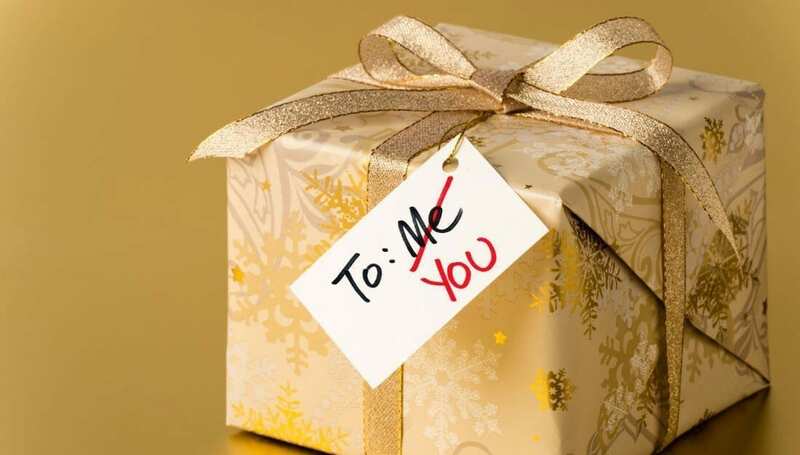 Re-gifting unwanted presents is a huge time and money saver. It’s also a great way to stay prepared at short notice. Wrapping paper has to be one of the worst nightmares for our environment. “One of the problems with traditional wrapping paper is that its dying and lamination make recycling difficult. This means that most of that paper does not end up in a plastic bin targeted for reuse, but in trash bags headed for a landfill and we produce 4 million pounds of it. Wherever possible, save wrapping paper to be re-used for upcoming celebrations (if it isn’t Christmas-themed), or next Christmas if it is! Check the paper hasn’t been hurt too badly, smooth it out over a flat surface and fold up. Place into a folder and keep it with your arts and crafts or printer-paper stash. It saves money and the environment! 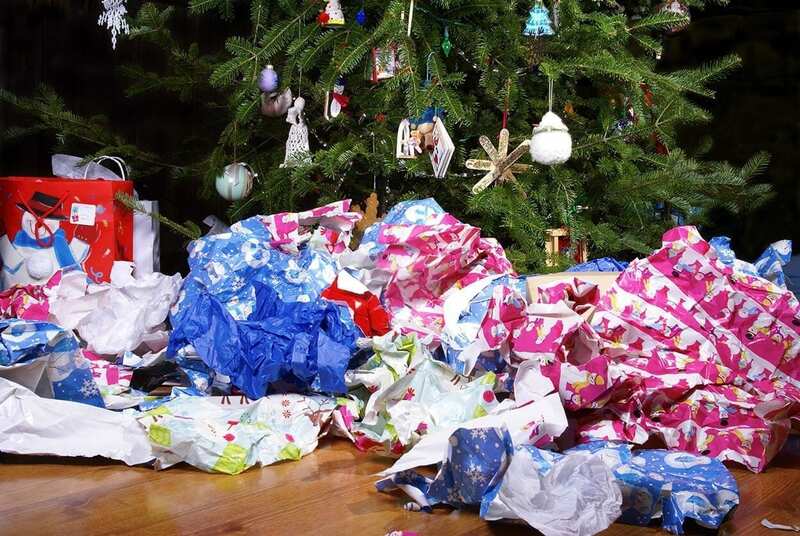 Tip: If you have a lot of people over for Christmas, make paper-collecting less awkward by simply appointing yourself as the designated “cleaner-upper.” Have a big bag handy to collect the discarded wrapping, gift bags, ribbons and bows swiftly before they get trampled on or thrown in the trash. If you’ve opted for the real deal Christmas tree this year and you happen to have a garden, there are a few ways you can recycle it. Cook oatmeal according to package directions (microwave in large bowl). Add other ingredients in bowl, stirring first with spoon; you can use your hands when mixture gets too stiff. Sprinkle some flour on your working surface and on your hands. Take a tennis-ball sized handful of dough and place it on the floured surface. Flatten the dough to about ½-inch thick. Cut out as many shapes as you can. You can dip the shapes into a dish of birdseed to coat. Using a chopstick or pencil, make a hole through each shape (for where the string will go). Place shapes on baking sheet. Bake 15-20 minutes, until lightly brown. Cool on pan. When completely cool, tie strings through holes. 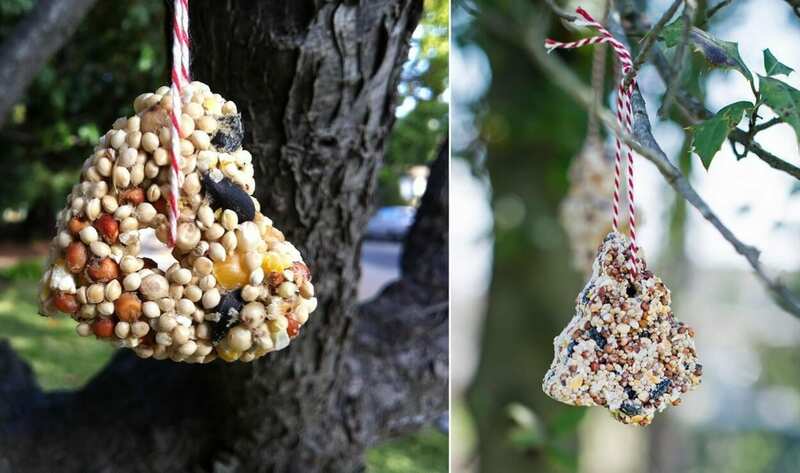 Hang outdoors from the repurposed Christmas tree. See who comes to eat them! Chip up the Christmas tree to make mulch. This can completely transform the look, smell and state of your garden. 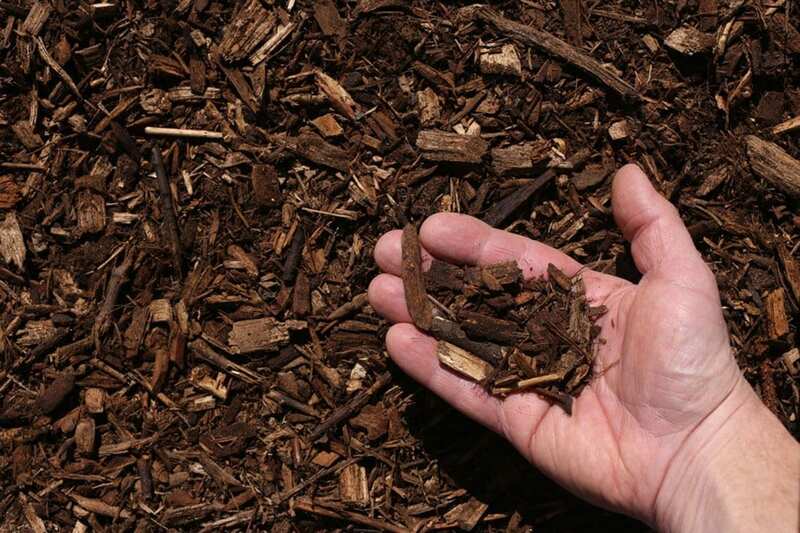 Mulch is known to regulate soil temperatures, prevent water loss and help keep weeds at bay. It can be placed around trees, potted plants and looks especially rustic over garden paths. As the mulch decomposes, it acts as a fantastic natural fertiliser for your precious plants and produces a real earthy, forest-like scent. 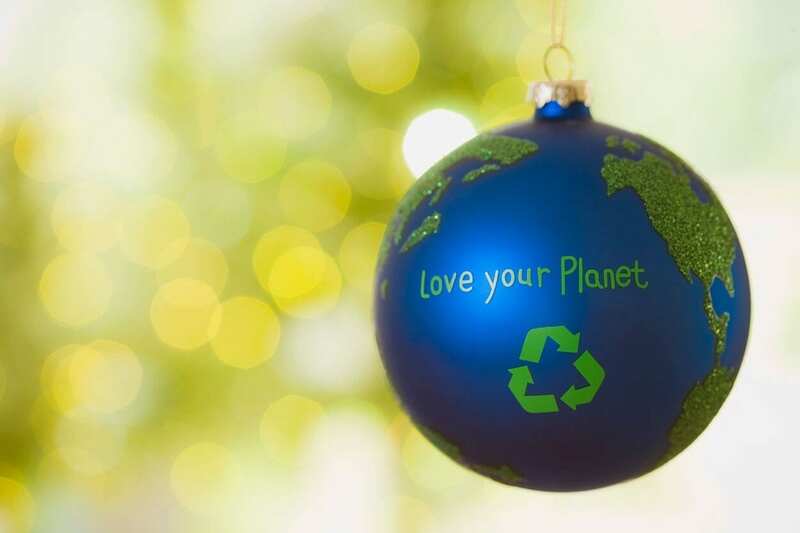 Depending on where you live, there may well be a local resource conservation group which could make great use of your unwanted Christmas tree. These groups use trees for a number of things, usually it’s to stop soil and sand erosion along beaches, lakes and rivers. 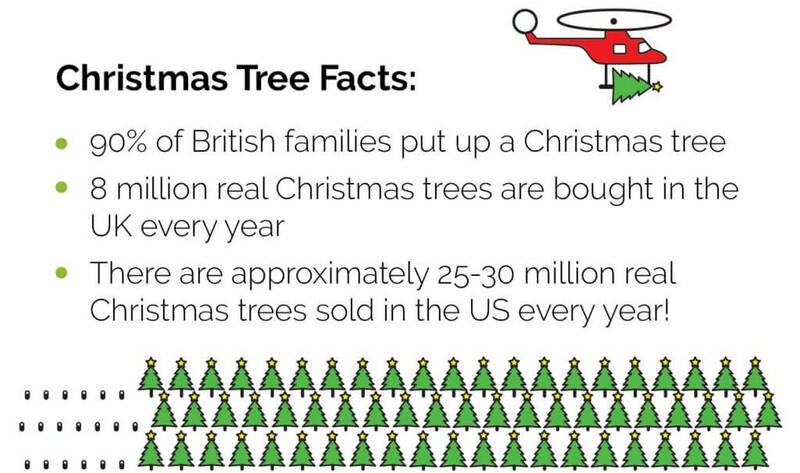 You can also donate your tree to a non-profit. Do a little digging and see what cause you’d like to support! If you’ve got a large enough garden, you can re-plant your tree if it’s still got it’s roots intact. Buying a live tree that’s got it’s roots will prevent the needles dying and falling off, (less indoor mess) and reduce the risk of fire. Keeping your tree sufficiently hydrated throughout it’s life indoors is recommended in any case. Even if you’re following all the guidelines, still be mindful of lights, wires and naked flames. Whatever it is, when in doubt, recycle! De-cluttering is like a juice cleanse for your house. Especially after a holiday season such as Christmas. Reclaim your zen vibes by taking a healthy minimalistic approach to your life, starting at home. Set off to a good start of the year by sorting through everything you really don’t need, want or use, and find a new purpose for it. If it can’t be repurposed, donated, sold, or re-gifted, then you can always recycle! The aim is to keep as much hazardous components out of landfills and generally reduce your carbon footprint. Also bare in mind that one man’s junk can be another man’s treasure. Here’s how I like to sort through my house at the end of a busy year. (Or when moving). Bring these items to their corresponding recycling bins. If you can’t easily find one in you area (which can be the case in certain countries or towns), do a little research. You may even find individuals that come to collect these items. First set aside that which you’re going to sell or re-gift, and package that up to be stored. Donate the rest, and there you go! Your house is free again. Take advantage of our special offers this December. The New Year is going to be buzzing with fresh beginnings and new opportunities, so don’t let a good thing pass you by!